When embarking on home improvements or building maintenance, care must be taken to ensure the appropriate materials are chosen for the project. It is advisable to obtain several estimates and research different options before making a decision. Some choose traditional masonry and stucco for walls and exteriors, while others find merit in extra insulation materials, such as Dryvit cladding. 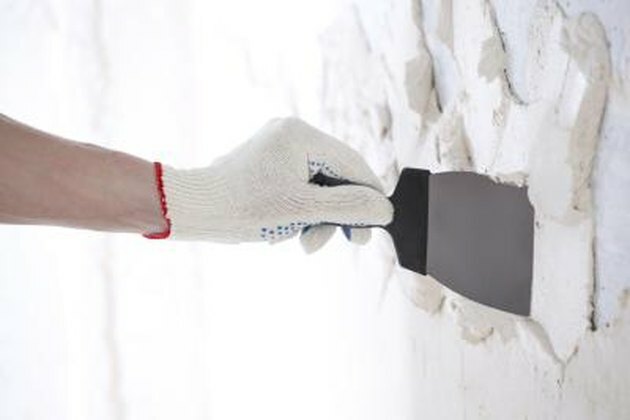 Stucco and Dryvit have numerous uses in building construction. There are several options when fashioning the exterior of a home or business. 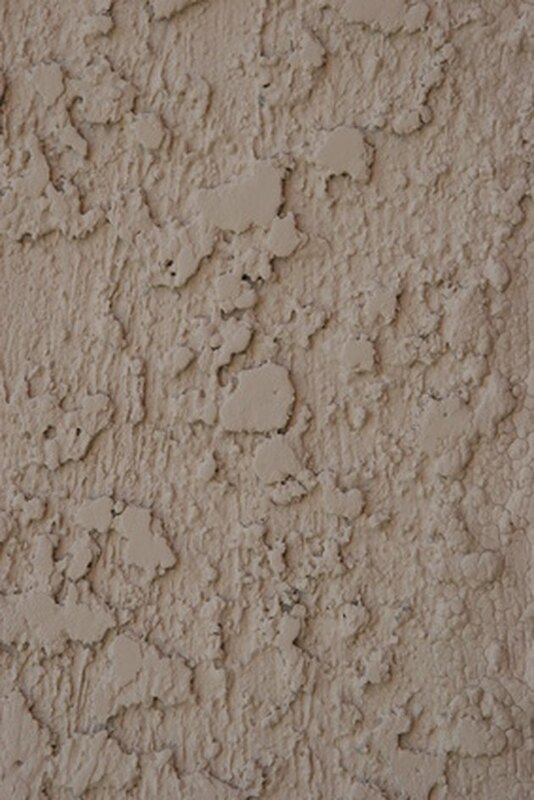 Stucco has been used in building construction since 1824 and a newer material called Dryvit since 1969. Traditional stucco may be used alone, or Dryvit may be added as an external insulation finishing system. Some homeowners choose to add Dryvit, based on the manufacturer's claim that it provides increased insulation and protection for the structure. According to Dryvit Systems Inc.,"outsulation" is an insulating finishing system used as cladding for a building's exterior. 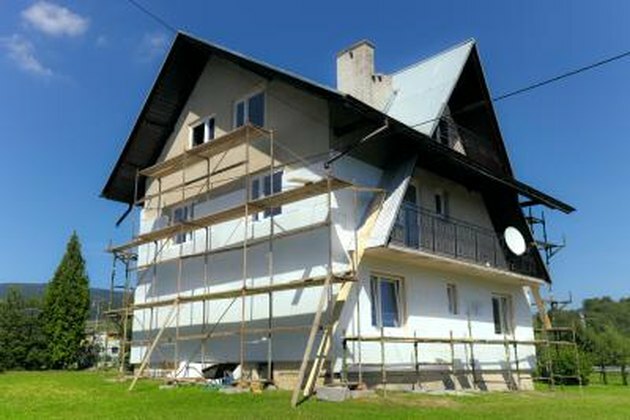 The company states that scientists report insulation is most effective when installed on the outside, rather than the inside of a structure. In addition, the company reports its products are tested thoroughly and are highly energy efficient. Dryvit was chosen over traditional masonry by Dennis McIntire, director of strategic planning for B&B Theaters, for use in a project to restore its theater in historical downtown Hannibal, Missouri. According to Jeff Price of J. Price Architecture in Liberty, Missouri, Dryvit Outsulation had many advantages for the project. These included a light weight, reasonable cost, and the fact that the original appearance of the exterior could be re-created, which was of particular importance to the theater company. 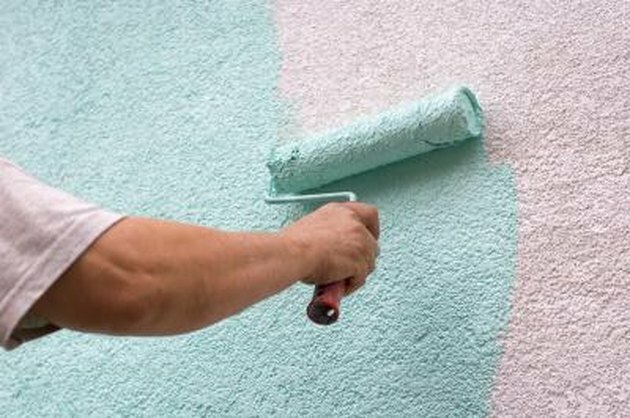 Stucco is a material made of cement, lime and sand. It is applied soft, and dries and hardens to a very dense consistency. It can be used on the exterior or interior of a building and, occasionally, marble dust is added to the mixture, depending on the manufacturer. According to the Portland Cement Association, the sand float finishes and grain size aggregate are what determine the final texture and finish. Stucco holds up well under extreme temperatures and other forms of external abuse, with or without a cladding such as Dryvit. According to the Building Online website, in 2002, a class action suit was brought against Dryvit by homeowners who claimed the cladding was defective and allowed moisture to seep into the walls, causing major problems. Dryvit settled the suit by agreeing to give the plaintiffs a refund. 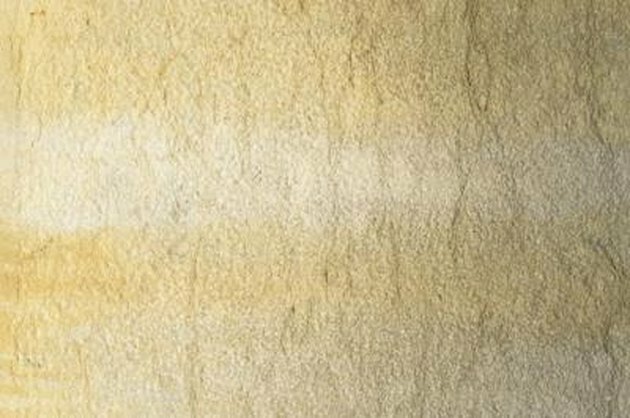 According to Tom Carter of the Ask the Builder website, many homeowners remove Dryvit from their homes because of its moisture problems and replace it with traditional stucco. 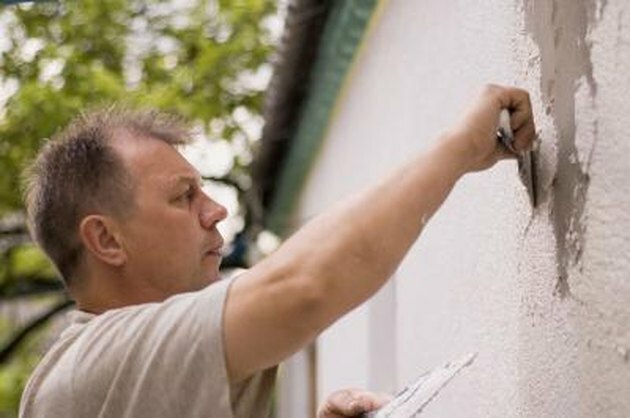 Every homeowner must choose the best material for his individual objective for his home; but based on the evidence, it appears traditional stucco may be the safest route.